The spectacular fall of the Kunya-Urgench meteorite was observed by hundreds of villagers in the Dashkhowus Velayat. A large daylight bolide brightened the afternoon sky, and a loud whistling followed by a crashing noise was heard. At 17:25 hrs a large single mass impacted 30-50 m from a group of cotton farmers in a field. The force of the impact shaped a crater, six meters wide and 4 meters deep. Many fragments were collected from the ejecta and a large mass of 900 kg was excavated from the bottom of the pit. The president of the Turkmens, Saparmurat Nijasow, ordered the main mass to be transported to the capital Ashkabat, where he offhandedly named the meteorite after himself, “Saparmurat Turkmenbashy” which can be translated as “Sapamurat, head of all Turkmens”. 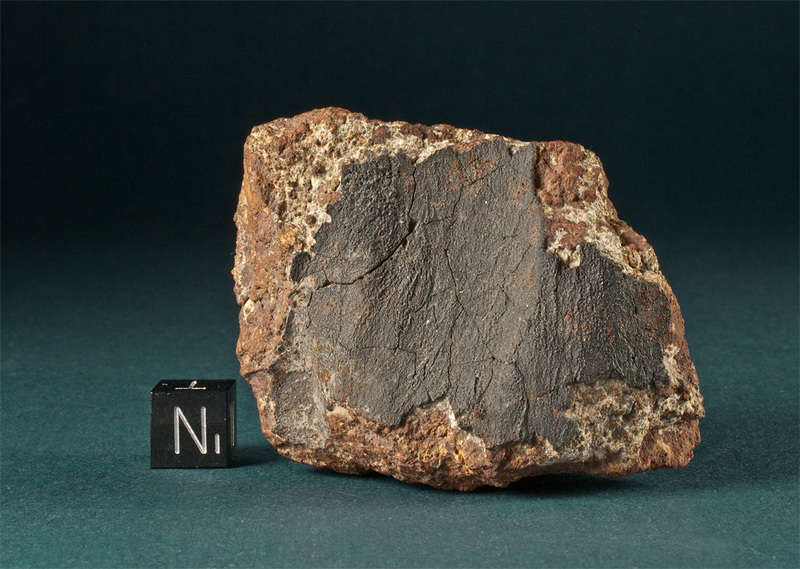 The preatmospheric mass of the meteorite was estimated 1.5 – 2.5 t, the cosmic exposure age was determined ~42 Ma. (L.L.Kashkarov et al. 2000). See also: V.A.Alexeev, etl.al. : THE KUNYA-URGENCH AND SOME OTHER FRESH-FALLEN CHONDRITES: COSMOGENIC RADIONUCLIDES. In: Lunar and Planetary Science XXXII (03/2001), abstract no. 1024. L.L.Kashkarov et al. : TRACK AND NOBLE GAS INVESTIGATION OF NEW KUNYA-URGENCH H5 CHONDRITE. In: Lunar and Planetary Science XXXI (2000), abstract no. 1397.